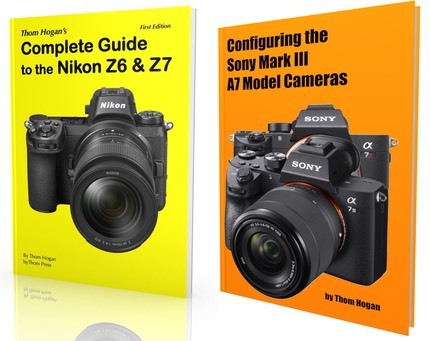 Nikon released version 1.2 firmware for the J1 and V1 models, with one much requested change and a few additional tweaks. The requested change has to do with shutter speed selection by the camera when in Program or Scene exposure modes: "…revised for faster shutter speeds to prevent blurred subjects." Great. Revised how? Some of us would actually like to know such things rather than have to reverse engineer them. Other changes include better auto white balance results, better exposure accuracy when Auto ISO is in effect using flash, and a couple of small errors have been fixed. Note that the date and time may be lost when you perform the update, so check your date and time afterwards.